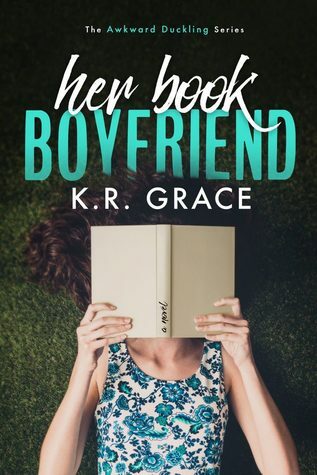 I'm going through a BFF to lovers phase, and as soon as I soon this book on NetGalley (the cover is pretty adorable) and read the blurb, I wanted it. For me, this was supposed to be the story of how Macey, bookworm and one of the smartest girls in school, started using her romance-book-tropes expertise to find herself a boyfriend, but instead ended up falling for her best friend. Two things to get me salivating: a romance-loving main character and BFFs falling in love. Those two elements were present, but I didn't love the execution. I thought it took way too long for Macey and her BFF, Cam to go from friends to more. For 70 or 80% of the book, Macey had shown no signs of romantic feelings for Cam, because she was too busy going through her romance-tropes list, making silly choices or worrying something else entirely. There was too much going on. I understand the entire point of this story was to focus on book tropes, but I was expecting a more critical approach or at least something more refreshing. I didn't like how a lot of things were handled here. First, I didn't approve of how the author tried to insert diversity, but didn't do a good enough job staying clear of poor, cheesy characterisations and, at times, got a little too close to offensive. Wen Li's character was probably the worst one. I also wasn't a fan of how Macey called out the girls Cam dated and dumped, or how all the guys she dated ended up being horrible. What? None of them could be nice? It felt like a way to ensure the only decent romantic interest was Cam, and he wasn't all of that, either, but Macey didn't have a problem with it. Don't get me wrong. I didn't dislike Cam. He was okay. I felt for him when his family problems came to light. I thought he was adorable when he interacted with his sister. And I loved how he cared and respected Macey, but he had his problems, and since Macey seemed to find a problem with every other guy she dated, it would've been a little more believable if she had been able to see Cam's problems, too. Since the romance kicked in so late, we got to see a lot of the frienship between Cam and Macey, and I have to say I really enjoyed it. They were fun together and they gave off that vibe only long time friends could, which means the author did a good job building their friendship. Their dynamic as friends and the fact that this was a quick read was probably why I'm giving this a positive rating. The lack of romance and the representation issues are why I'm not rating it higher.